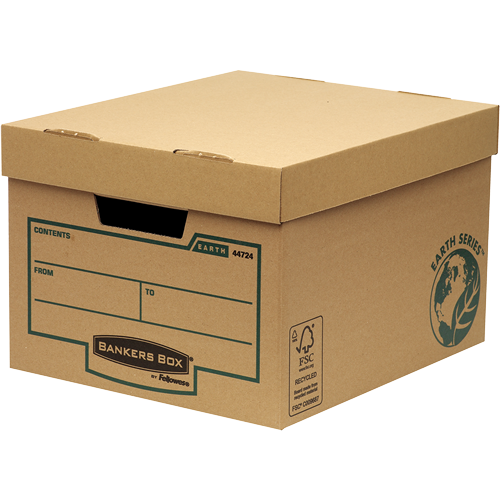 Bankers Box by Fellowes Earth Series Budget Storage Box is useful storage box that doesnt have to cost you the Earth. 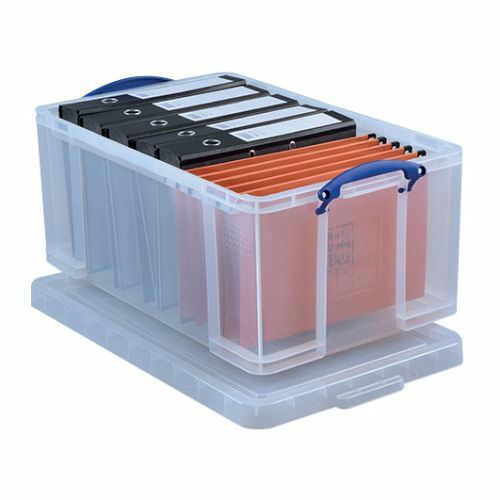 It features a double-layer base to add extra strength for a sturdy yet cost effective and environmentally friendly storage solution. 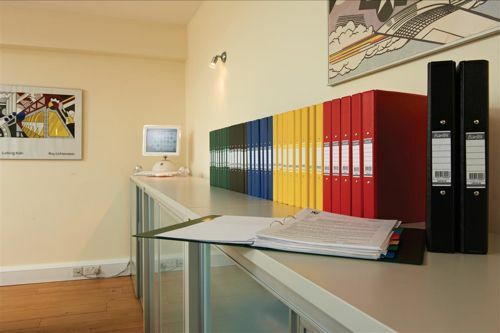 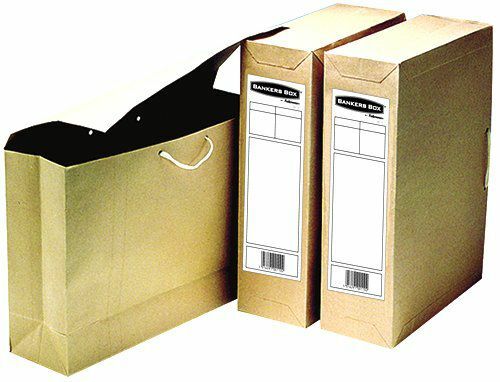 The Budget Storage Box can be stacked up to 3 units high, saving you valuable space and is an ideal way to store your documents if you dont need regular access to them. 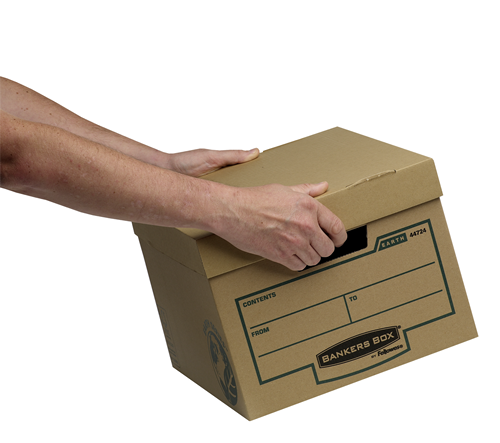 Alternatively its ideal if you simply need a sturdy box just to store things in! 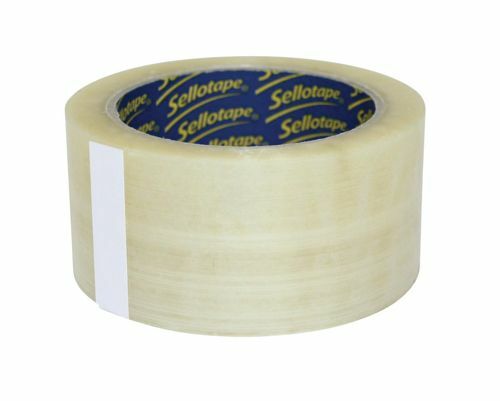 It has the added advantage of a large labelling area for easy identification of contents and a separate dust cover lid. 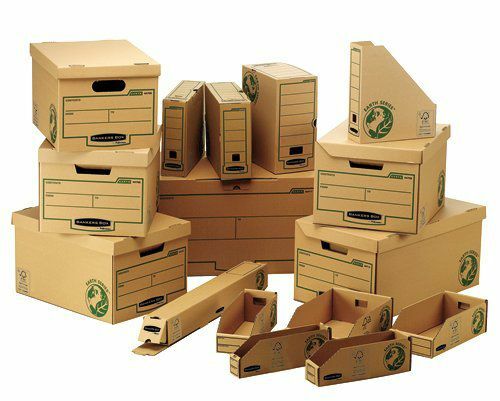 As with all Bankers Box corrugated products, it is made from FSC certified board. 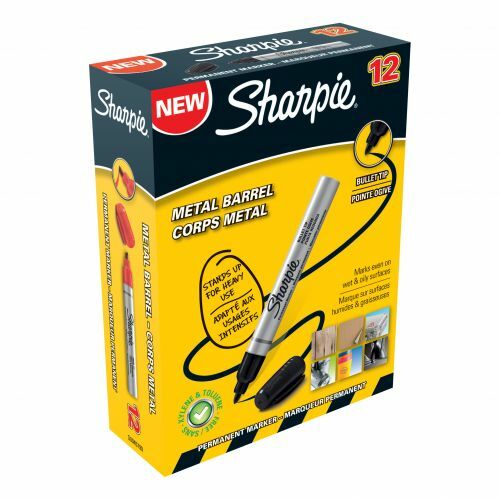 The inks are water based and adhesives used are solvent free, so you can be confident you are making the right choice.